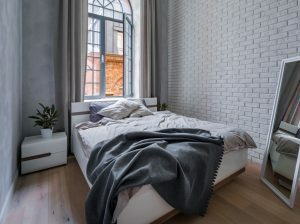 If you have a small bedroom, then you must be aware of the unique design challenges it leaves you with. And, this problem mostly happens with just one bedroom element – the bed. 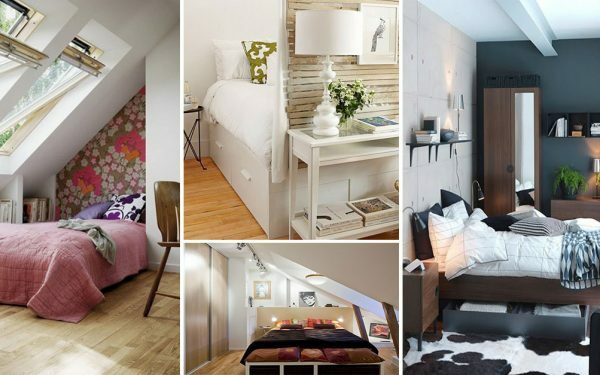 But just because you have a humongous bed in a small bedroom, that doesn’t mean you need to forfeit your sense of style and, most importantly, space. 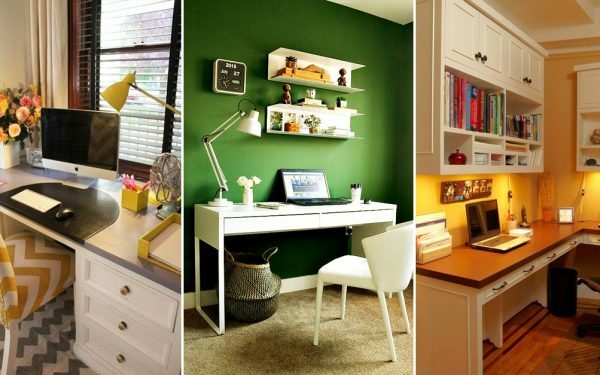 So, prepare yourself to get overwhelmed with these clever 9 decor tips and tricks. If you are looking to make a tiny bedroom appear bigger, turn to a canopy bed! Though many might argue that a canopy bed will make your bedroom appear cramped, we choose to differ. The posts of the canopy bed will draw your eyes upward, making the ceiling appear taller, and creating an illusion of space. Just ensure that you have enough space after placing the bed, to move around freely. In case you are not sure how the canopy bed will turn up in your petite bedroom, you can attach sticks to your bed to get an idea. 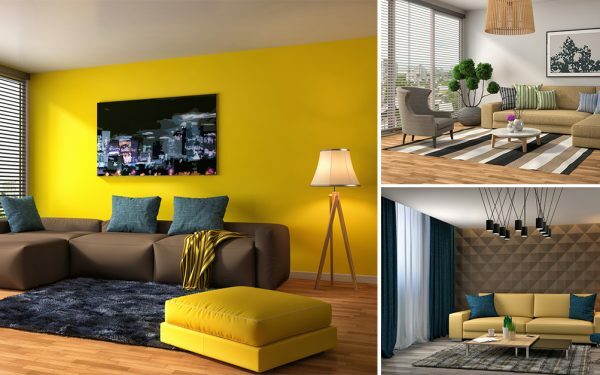 However, ensure that you have minimal furnishings in the room and keep the wall color light. 2. Create the Illusion of Height! Paint the ceiling a shade lighter than the walls. However, you can always opt for the classic white ceiling to make your small bedroom appear bigger. 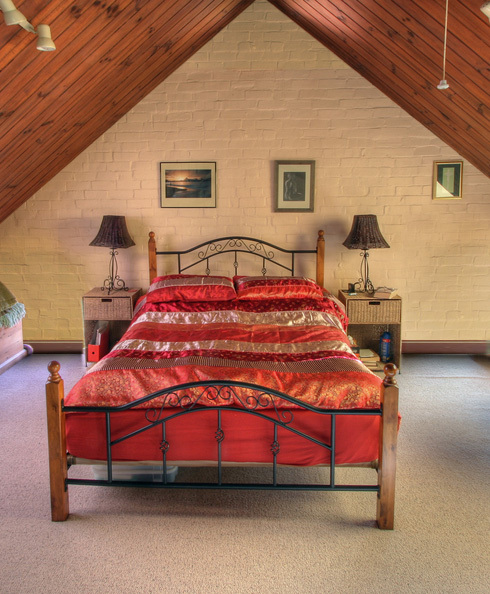 In case of an attic bedroom, try to conceal the lines where the walls meet the roof. While decorating a room, our intention is always to position the bed against the divider, not before a window, where it may block the light. However, you can always place your bed against the window. This is especially true when the window is located higher on the divider. 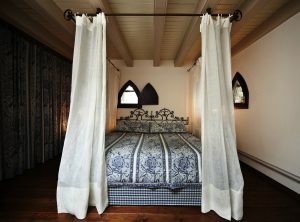 Make use of window treatments like drapes or curtains to outline your bed. With a solid selection of blinds surrounding the bed, the window, the drapes, and the bed make for a striking focal point. 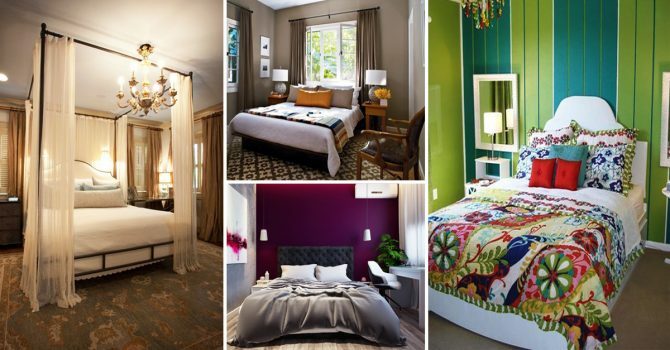 When dealing with a small bedroom, color plays a crucial role. 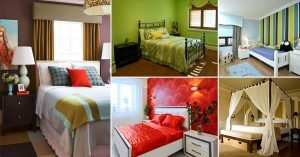 With the right color in place, you can make your room appear bigger, brighter, and spacious! Look for shades like beige, white, and pastel hues. 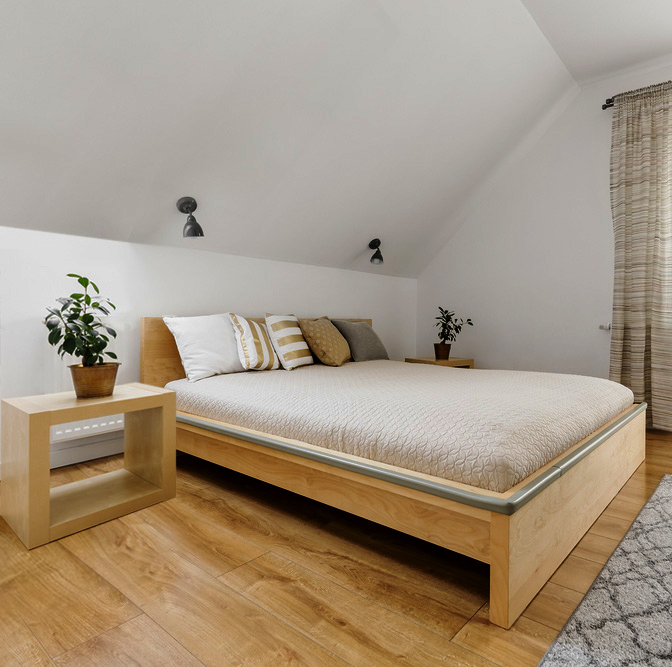 In a small bedroom, where space is precious, choosing the right furniture will help in making the room appear light and breezy. 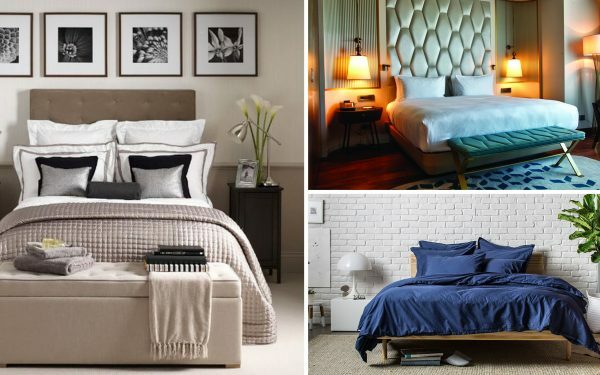 Instead of placing a humongous bed that will kill the room, opt for a sleek and multipurpose piece. 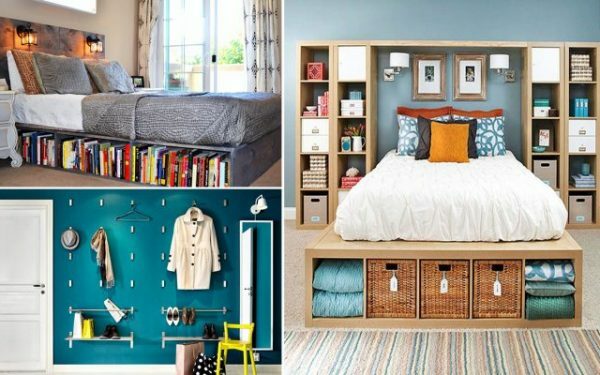 This will help you amplify the effect of space, while adding valuable storage space to your bedroom. 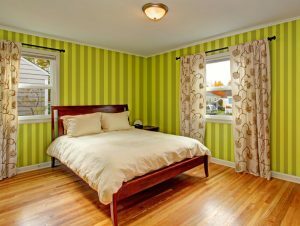 Just like wearing vertical stripes makes you look taller, using vertical stripes in a small bedroom can make your ceiling look taller and wider, creating the feeling of space. In case you are don’t want to paint the walls with vertical stripes, you can always opt for wallpaper! Paint an accent wall in your small bedroom to amplify the sense of depth. 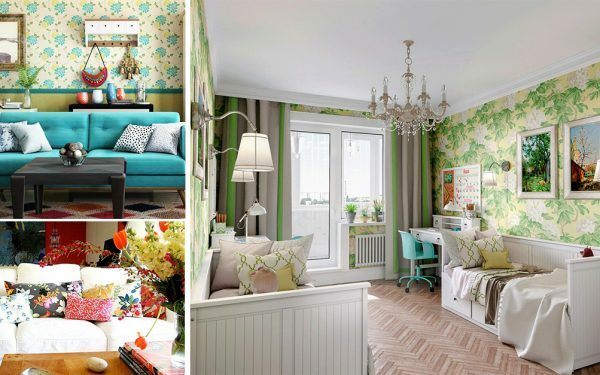 You can either paint a textured wall or opt for an inexpensive yet pretty wallpaper to add an accent in your tiny bedroom. Though a mirror cannot actually make your room bigger, it can make your room feel bigger! These days a lot of options are available, both offline and online. Simply take your pick! Walls done in beaded board bring texture and visual tallness to a small bedroom. You can also opt for tall lights near the bedside to help draw the eye upward.